Primarily due to environmental concerns and legislative mandates, the disposition of end-of-life electronics products has attracted much attention. Recycling fees and government subsidies played important roles in encouraging or curtailing the recycled flows. Due to the environmental protection problem attracting great importance by more and more countries and regions around world, our country launched a series of regulations and laws to standardize the recycling market. At the same time, though taxing recycling fees on manufacturers and giving the recycling subsidy to the recyclers, the government can control the recycling quantity and production quantity. This paper establishes the green supply chain game model to explore the government implementations for the realization of social welfare maximization, and the different incentive strategy of enterprises corresponding to different implementations. Then, we analyze the optimal equilibrium decision results of the game model in a variety of circumstances, and compare effectiveness of the government subsidies strategies based on the recovery percent or recovery quantity. The results show that the government using any kind of incentive strategy can improve the product recovery; and the government’s subsidy incentive strategy that is based on the recovery percent could improve the recovery efficiency more effectively, realizing the maximum social welfare. Ferguson, ME. and Toktay, L.B. (2006) The effect of competition on recovery strategies. Production and Operations Management, 15, 351-368. Vlachos, D., Georgiadis, P. and Iakovou, E. (2007) A system dynamics model for dynamic capacity planning of remanufacturing in closed-loop supply chains. Computers & Operations Research, 34, 367-394. Oraiopoulos, N., Ferguson, M.E. and Toktay, L.B. (2012) Relicensing as a secondary market strategy. Management Science, 58, 1022-1037. 计国君, 黄位旺 (2012) WEEE回收条例有效实施问题研究. 管理科学学报, 15, 1-10. Bansal, S. and Gangopadhyay, S. (2003) Tax/subsidy policies in the presence of environmentally aware consumers. 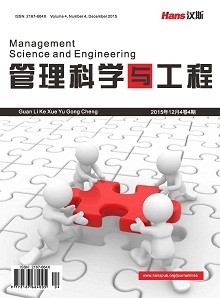 Journal of Environmental Economics and Management, 45, 333-355. Palmer, K. and Walls, M. (1997) Optimal policies for solid waste disposal: Taxes, subsidies and standards. Journal of Public Economics, 65, 193-205. Palmer, K., Sigman, H. and Walls, M. (1997) The cost of reducing municipal solid waste. Journal of Environmental Economics and Management, 33, 128-150. Wojanowski, R., Verter, V. and Boyaci, T. (2007) Re-tail-collection network design under deposit-refund. Computers & Operations Research, 34, 324-345. 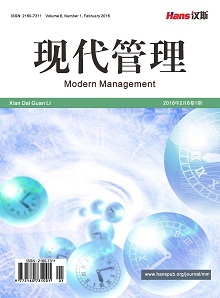 周垂日, 梁樑, 许传永, 等 (2008) 政府在废旧电子产品逆向物流管理中的经济责任机制. 中国管理科学, S1, 434-437. Mitra, S. and Webster, S. (2008) Competition in remanufacturing and the effects of government subsidies. International Journal of Production Economics, 111, 287-298. 朱庆华, 窦一杰 (2011) 基于政府补贴分析的绿色供应链管理博弈模型. 管理科学学报, 6, 86-95.